A new study released this week by Zendrive shows that drivers are 10% more distracted now than in 2018. The data, which comes from several states, proves that many drivers are ignoring the laws. Unfortunately, when they ignore the law, they also put lives in danger. Zendrive was able to collect information required for this study from 1.8 million drivers through its phone software, which monitors driver behavior and picks up whenever a driver engages in risky activities while behind the wheel. Drivers who use the phone more than 10% of the time while operating their vehicle and who are categorized as “phone addicts,” Zendrive said, often ignore the road for about 28% of the time. This is particularly concerning as drivers who ignore the road are risking their lives and the lives of many others such as motorcycle and bicycle riders. The most common distractions include texting, talking, changing music, or using navigation tools. All activities that force the drivers to keep their eyes on their phones for longer than they should. The result is disastrous. After all, distraction impacts the driver’s response time. And when drivers cannot respond to emergencies fast enough, accidents happen. 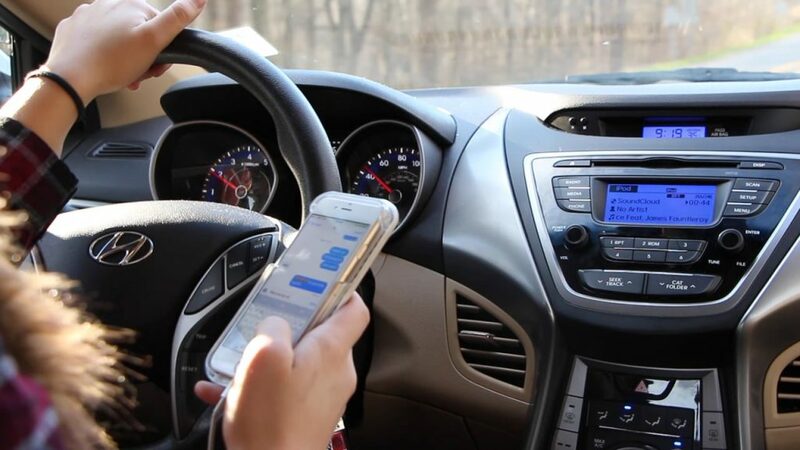 An Insurance Institute for Highway Safety study released earlier this year also shows that drivers in Northern Virginia were 57% more likely to use their phone in 2017 than they were in 2014. Like the latest study from Zendrive, this shows that the trend is real, and that drivers are allowing distraction to take over more often. This means that we’re all in danger. With more distracted drivers on the road, there’s much more to worry about when we get out of our homes. Are Drivers Not Worried About Breaking Distracted Driving Laws? Despite the claims made by these reports, most states now have distracted driving laws on the books. So why aren’t drivers paying attention to the road? It’s important that drivers follow the rules to avoid accidents. And that includes avoiding distractions. But that’s not all that drivers should be doing — respecting speed limits, never drinking and driving, and not allowing drowsiness to take over are all part of driving safely. For more on this study on distracted driving, follow this link.